What is your titration risk? 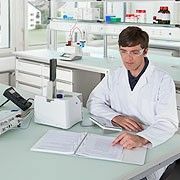 For all 5 major steps to Good Titration Practice™ METTLER TOLEDO offers comprehensive support and guidelines, so that you invest in the right place. By targeting your efforts you’ll minimize your risks! GxP guidelines demand professional commissioning and qualification of the analytical instruments used in QC or production. These activities also need to be documented in a way that’s easy to understand and traceable. 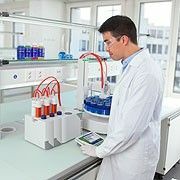 The services offered by METTLER TOLEDO encompasses execution of the qualification process, including all documentation. 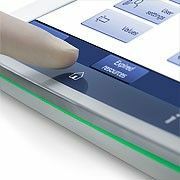 In line with GTP®, this also includes professional training which gives you the confidence and skills to operate the titrator correctly. Well trained users and regularly maintained titrators reduce the likelihood of day-to-day measurement errors, preventing potentially expensive follow-up costs. METTLER TOLEDO’s many years of expertise and experience are available in the form of comprehensive literature and trained sales consultants. Seminars are also available for users to refresh their knowledge. METTLER TOLEDO offers specifically tailored services for regular care and maintenance, helping minimize the most common risks with minimal effort.